The goal of this assignment is to start to get a feel for how big places are. #017a. Calculate the MAIN (first floor) area of your home and the total area. 1. Measure! THIS is a pretty good reference for how to measure your home.... and a LOT of people get it wrong. 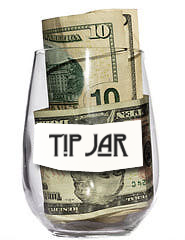 If you ever plan on owning a home, this is an important skill! Start with a basic floor plan, nothing fancy. Note that the number you are going for is total "finished" square feet. Utility closets and garages do not count. Interestingly, the thickness of the interior and exterior walls DO count. SO if you measure individual rooms (exclusive of the walls) and add them together (living room + bedroom + kitchen + hall + bath...), the number will still be less than the "total square footage" of the building. 2. Ask Big Brother, otherwise known as the property tax assessor. Usually (but not always) this is the county. Typically all you need is to input the address to get some good info. 3. Ask someone else who knows. Zillow used to have info on all houses; now it seems to keep info only for houses that are on the market. #017b. Scope out two or three large homes that you pass by regularly and find out their square footage for comparison. Since you won't be able to get in and measure, you can use one of the other methods above to find out. Graceland. Image courtesy of josephleenovak via Flickr. 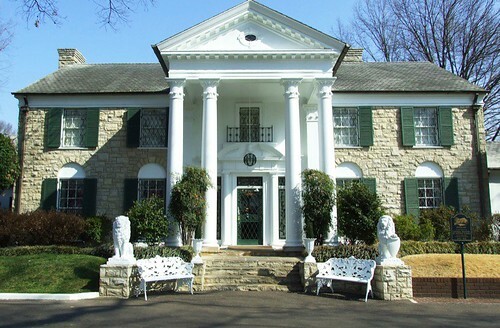 Example 1: Graceland! I've never been there, but BIG, right? Step 2. Go to zillow.com and input the address..... Wait! Zillow only does homes & Graceland's now a museum. Let's try Wikipedia: bingo! 17,552 square feet. Step 2. Google to find the property tax assessor site in the county you're searching, in this case Miami-Dade. Put in the address and bam! there you go: 9500 square feet. Note of interest: the side yard that includes 1/2 the pool is a separate lot. He's trying to sell both of them together (go figure). #017c. How Small is Too Small? Many desires for enormity stem from a lack of privacy. I know when my children were small, I really needed some acoustic privacy from them so I could get stuff done while they napped. Distance helps with this, but so does building your walls for acoustic protection! Q: What other perfectly defensible reasons might people feel like they want a large home? because I hate my family and want to be as far from them as possible.